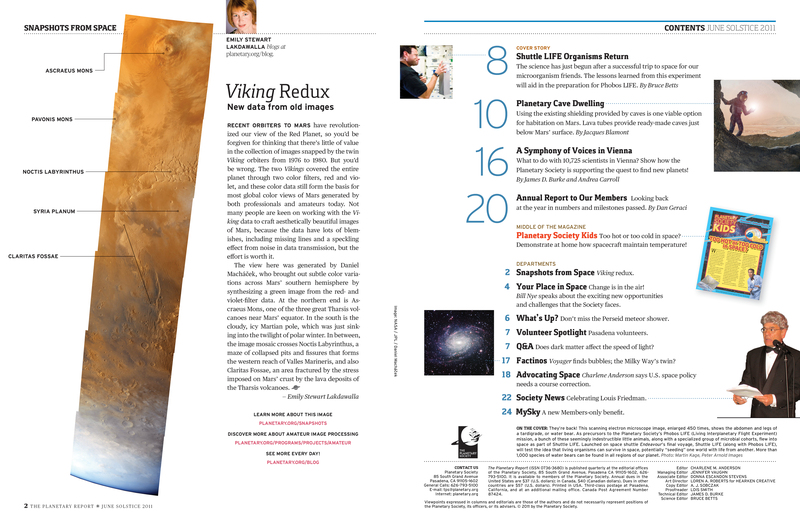 Hearken Creative (www.hearkencreative.com) of Pasadena, CA is proud to announce a historic magazine redesign — the first in the magazine’s 31-year history. 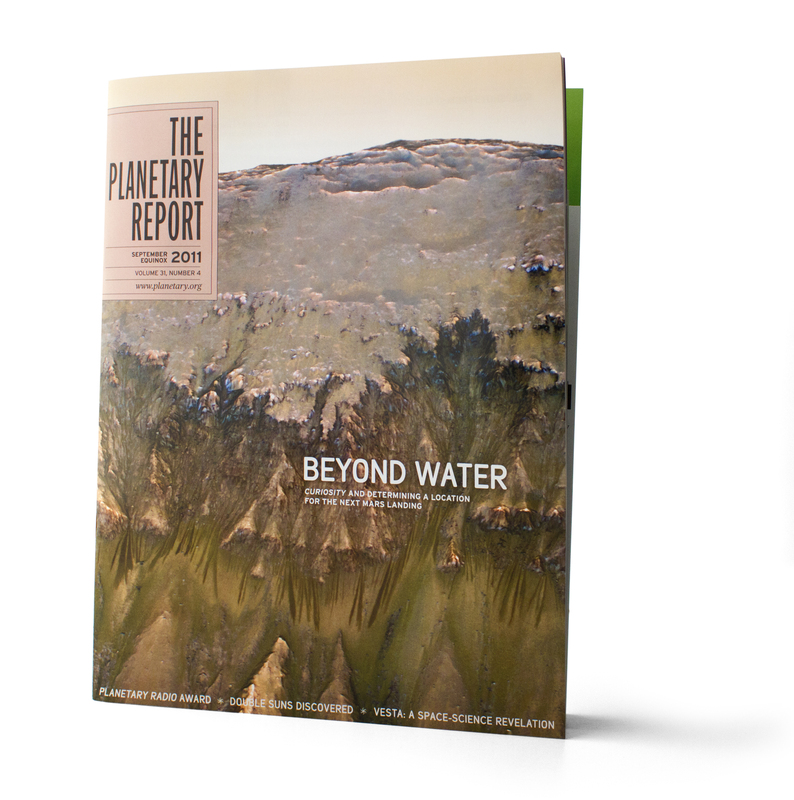 The Planetary Report is a highly-regarded quarterly member magazine, bringing space research and advocacy news to 50,000 readers worldwide and commissioned by the Planetary Society of Pasadena, CA. The first two redesigned issues were released in June 2011 and October 2011. The Planetary Report was introduced soon after the Planetary Society was launched in 1980 by scientist/author Carl Sagan, JPL/Caltech professor Bruce Murray, and JPL scientist Louis Friedman. 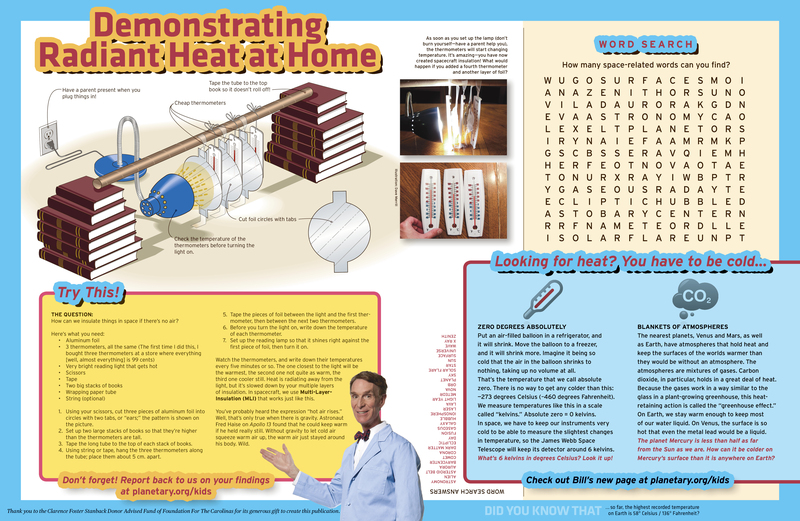 The desire for a new look and focus prompted incoming executive director Bill Nye to turn to Loren A. Roberts of Hearken Creative for a complete re-design of the magazine, including adding a brand new kids’ section that capitalizes on the Bill Nye the Science Guy™ brand. 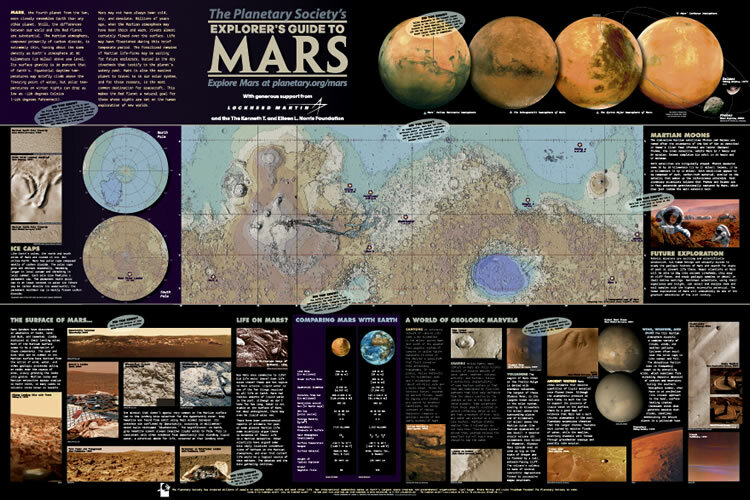 The relationship between the Society and Hearken Creative began in 1997 when Roberts designed all of the graphics for Planetfest’97, a convention where tens of thousands of people watched Mars Pathfinder land on Mars using a real-time link from JPL at the Pasadena Convention Center. All printed graphics, banners, signage, advertising, and online graphics were designed by Hearken Creative. Since then the partnership has grown, with Hearken Creative designing t-shirts, logos, posters, websites, brochures and more for the Society. 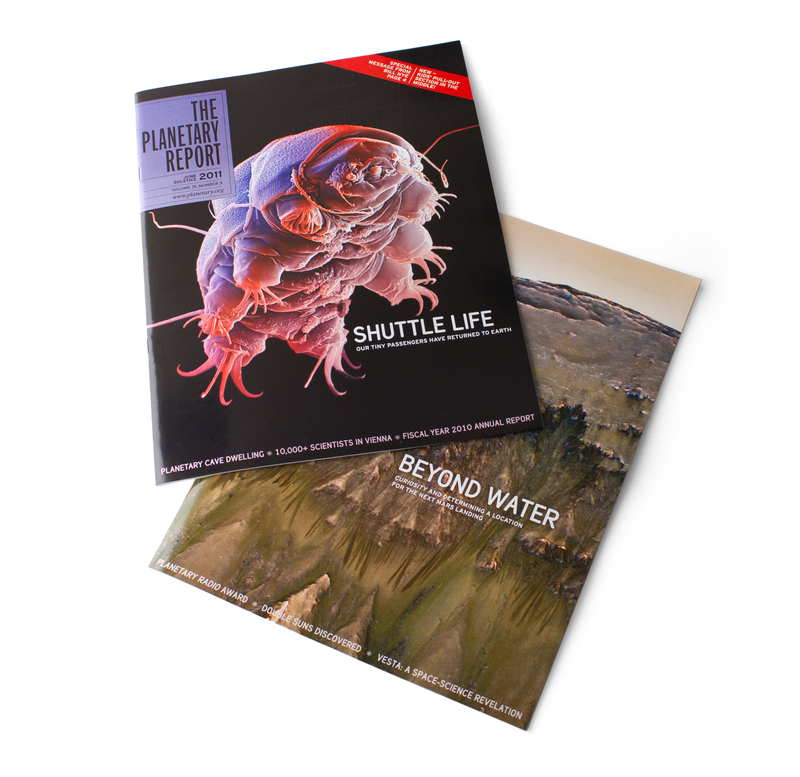 The Planetary Report is the internationally-recognized flagship magazine of the Planetary Society, featuring insightful articles and gorgeous photos to provide comprehensive coverage of discoveries on Earth and other planets. 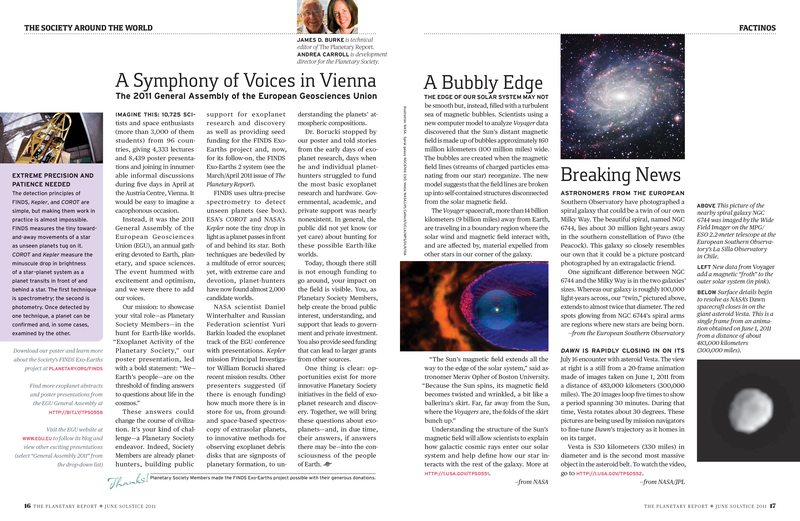 The quarterly magazine reaches members of the Society all over the world, with news about planetary missions, spacefaring nations, intrepid explorers, planetary science controversies and the latest findings in humankind’s exploration of the solar system. 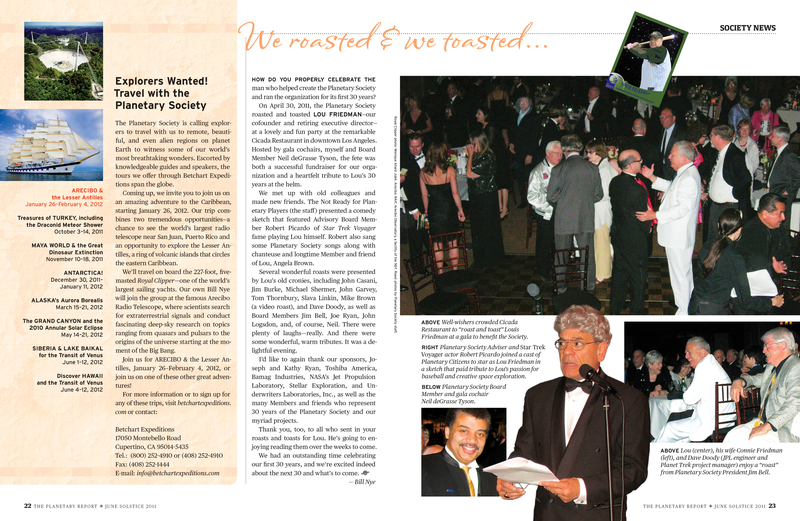 The magazine is an exclusive benefit for Planetary Society members. Hearken Creative was founded by Loren A. Roberts in 1993 to service the marketing and design needs of Southern California’s nonprofit organizations — social services agencies, colleges, and museums. Hearken Creative has designed award-winning logos, magazines, brochures, direct-mail campaigns, and websites for both nonprofit and corporate clients from New York to Los Angeles to Tokyo. As advertising and marketing needs have changed, Hearken Creative diversified to offer consulting and services for various media including live/production/post-production sound, film and video producing, audio and video online broadcasting solutions, and fine arts and performing arts marketing consulting. He is a film/documentary director, editor, sound designer, and producer [IMDB credits]. Roberts has a bachelor’s degree from Occidental College and experience in the entertainment industry as an advertising and packaging designer prior to starting Hearken Creative. Larger images are available for print. Please call or e-mail for information. 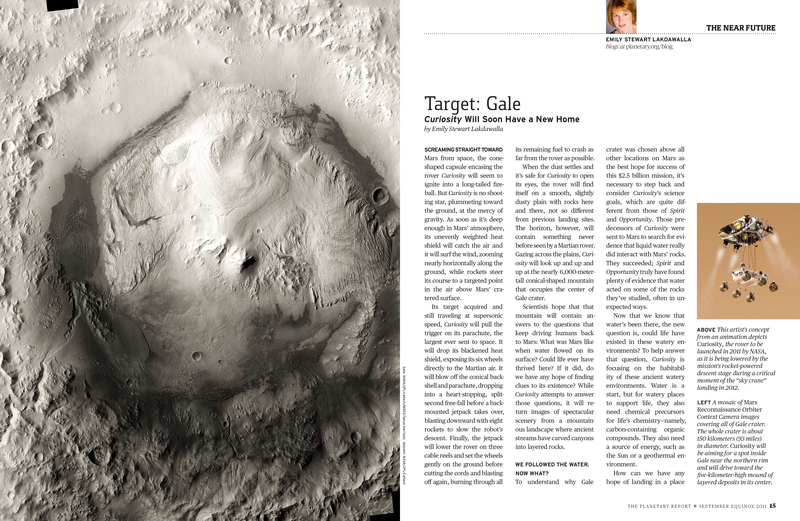 Images of the The Planetary Report by Hearken Creative are copyright ©2011 The Planetary Society. Contact the Planetary Society for reproduction permission, for news/non-commercial purposes only.